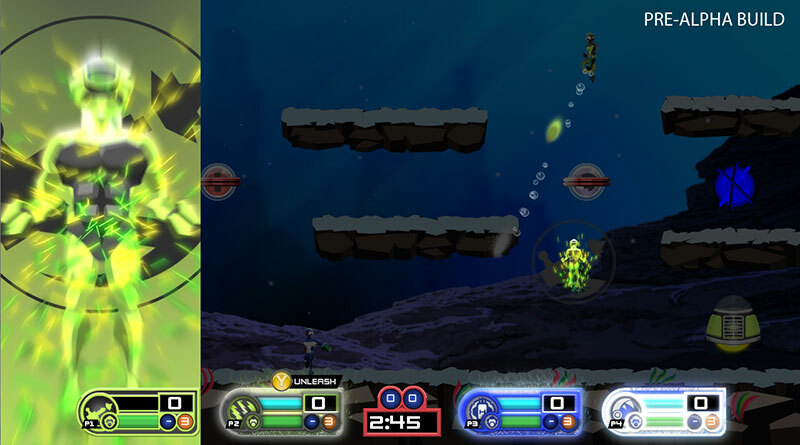 Indie developer Decoy Games will bring its 4 player underwater brawler Swimsanity: Underwater Brawler to PS Vita, PS3 and PS4. 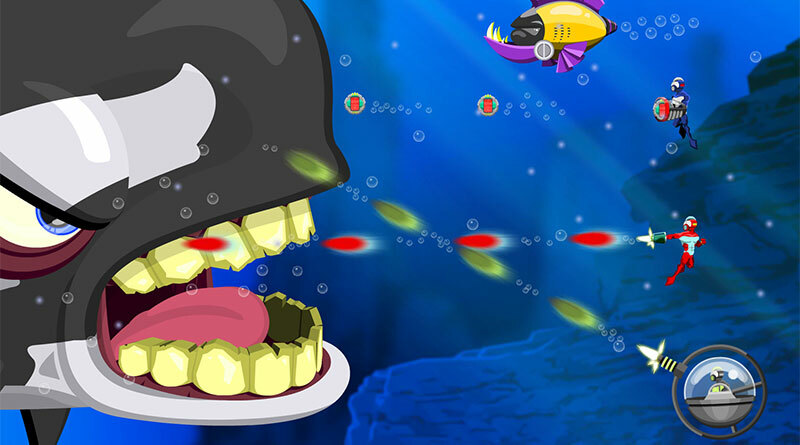 In Swimsanity: Underwater Brawler you will compete with up to 3 friends in a large set of competitive and cooperative objective based games online or offline. 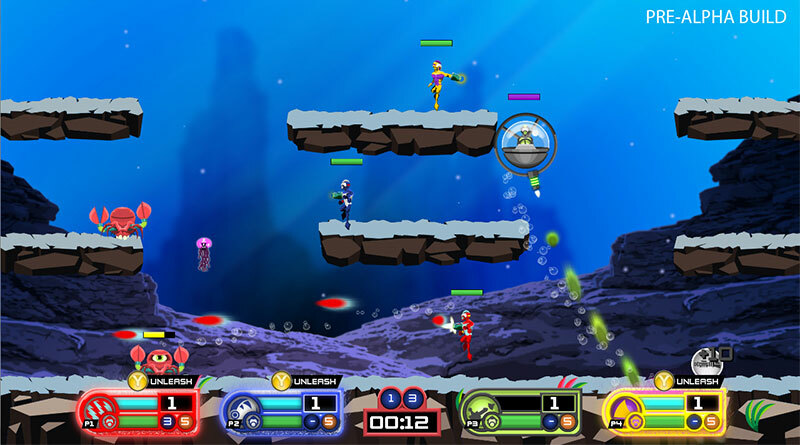 You take control of Mooba, an aquatic soldier who is equipped with a deluxe arsenal of tools needed to survive the underwater battlefield. 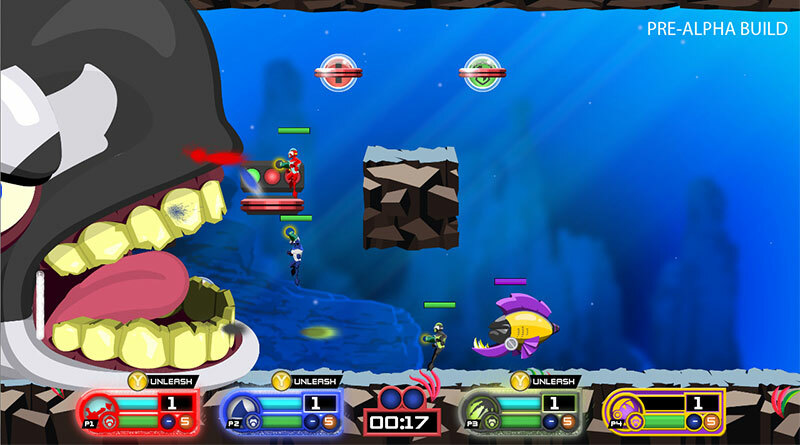 The underwater brawler will have two components: defiance which contains the competitive game modes that allows to compete in free-for-all or 2v2 matches. In alliance you play as a team with up to 3 other players. According developer Decoy Games we can expect major updates about the game’s development early 2016.